Currently, we spend most of our day hanging on our cell phones. With the various practical applications, games, social networks, chat platforms and the like, it's hard to leave it out. However, have you ever thought of checking whether it is secure? Indeed, with hackers and viruses that swarm on the Internet, no one is immune to spy programs. To help you get it right, here are some simple and practical tips to try immediately! Many of us have personal information recorded in their phone. Ranging from the password of their Facebook profile to the number of their bank account, this information must absolutely be secured to avoid any misappropriation or fraudulent use which risks creating troubles for their owner. To help you know if your phone is being tracked or spied on, find below some handy codes to remember. By entering this code, you can determine if your calls, messages and other data are diverted and to which number. This will appear clearly on your screen. If this is the case, the person who spies you will be able to collect all the information about you and will have access to all your data, even confidential, recorded on your mobile. Generally, this kind of diversion is done by parents to monitor and protect their children from possible threats from the virtual world, from jealous spouses, or from any stranger who accesses your phone. This code will be useful if you are unable to receive calls or messages on your phone. This will allow you to determine the phone or voicemail number of your mobile operator, who receives them. If, using the previous codes, you discover that your phone operations are being diverted, use it to disable hijacking, even to voicemail. It is a universal code that also remains operational in the case of roaming. This code allows you to have the International Mobile Equipment Identity. This number, consisting of 15 to 17 digits, is usually written on the packaging delivered at the time of purchase and under the telephone battery. 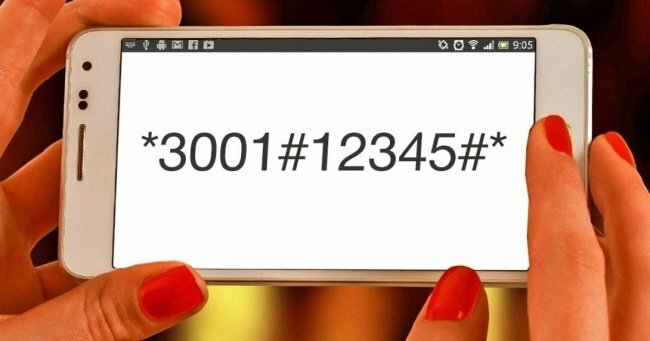 This unique number is what makes it possible to identify the phone in case of theft, even if the SIM card is changed. Thanks to it, it is possible to know its brand, its model, its technical sheet and so on. How do I know if your phone is being tracked by special services? In all countries of the world, special services can work with telephone operators to access the telephone operations of any number. Upon presentation of a warrant, they can obtain all the data collected by the operator during the last three months. For example, if you notice frequent interference in your calls, if your battery quickly discharges and heats up more than usual, and if your phone starts to spontaneously restart, this will make you chic, provided of course Your phone is not damaged. How can I protect my phone? Change your privacy settings to determine what information to make public, those that are not.